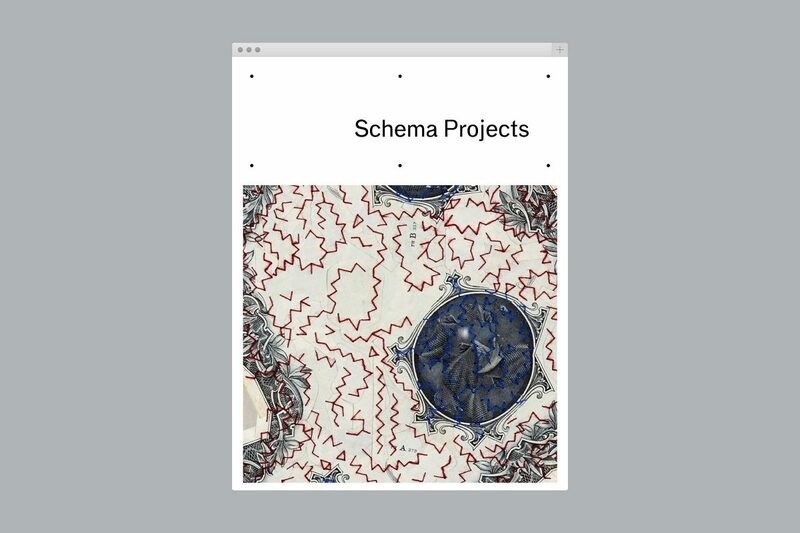 Schema Projects is a Brooklyn-based gallery that exhibits works on paper, such as drawings, prints, sketchbooks, artists books, limited editions, models and diagrams. Founded by artist Mary Judge, the gallery aims to highlight art forms on paper and give exposure to the role of drawing in the creative process. Our studio designed the gallery’s identity, print materials and collateral, including a custom typeface, stationery, exhibition cards, ads, signage, invites and totes. The identity design reflects the idea behind the gallery’s name, where a guide or underlying schema is broken by text that’s positioned freely within this framework. Since the focus of the gallery should remain on the works presented rather than its own identity, we developed an understated system that is both sophisticated yet unconventional to reflect its position as a younger, less established, artist-run gallery. We designed a custom typeface in a single weight for the logo and use across all materials – based on a classic grotesk typeface with unique alterations made to letterforms, such as square brackets on j and t and a round dot. Subtle imperfect elements create a contemporary feel, and reinforce the idea of an underlying schema that is not always matched in reality.